Schultz, 64, says he is considering a range of options. He had endorsed Democratic presidential nominee Hillary Clinton before the last presidential election and had sometimes deflected questions about whether he would run for office. Schultz’s move comes after he ceded the day-to-day duties of CEO at Starbucks last year to focus on innovation and social impact projects as executive chairman. As of June 26, Starbucks says Schultz will take the title of chairman emeritus. The Seattle-based chain says he is writing a book about Starbucks’ social impact moves and its efforts to redefine the role of a public company. 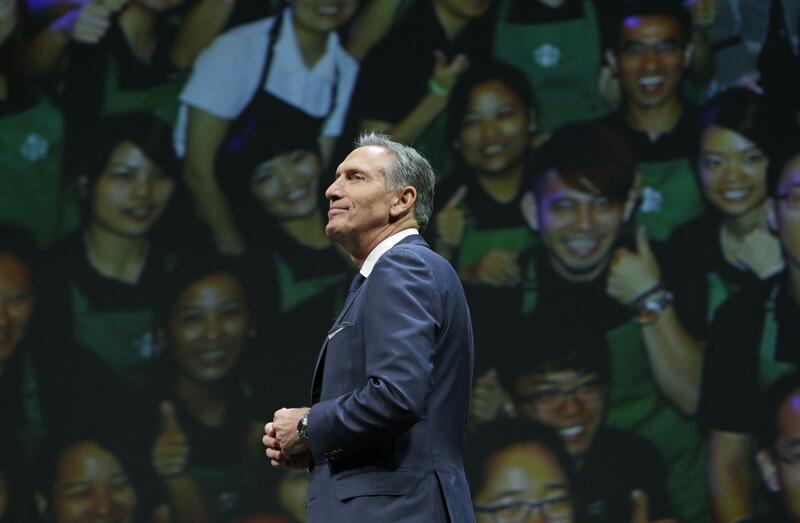 Schultz was known for aligning himself and Starbucks with social issues like race and jobs for underprivileged youth – even when those efforts fell flat, like the “Race Together” campaign that encouraged workers to talk about race with customers. Last week, the company closed its U.S. stores for several hours for bias awareness training, one of the measures it promised after the men were arrested as they waited for an associate but hadn’t bought anything. Published: June 4, 2018, 2:27 p.m. Updated: June 4, 2018, 6:57 p.m.